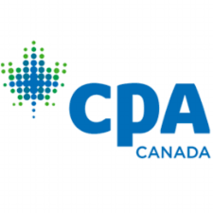 Founded in 1993 by Denis Robert, CPA,CA , “Robert Chartered Professional Accountant” also known as ‘’Denis Robert Chartered Professional Accountant’’ is an independent accounting firm serving the Ottawa and Orléans region. Based on total quality management, we provide a personalized service since each client is different and deserves more than a one-size fits all approach. We strive on delivering quality results that are both practical and relevant to your situation and in a timely matter. We pride ourselves on always being available for you and to consistently find solutions that are best for now and for the future and offer a professional working relationship encourages growth, cooperation and trust. We are proud of the strong reputation that we built and earned over the years of serving our community. We work hard to help you build and grow your financial systems, and give you advice on ways to improve your business and achieve your goals. Most importantly, we ensure that our firm is up-to-date with all important aspects of the finances and taxation of your business, allowing you to focus on what you do best. Denis Robert has been serving clients in the Orléans and Ottawa region since opening his personal practice in 1993. He has over 30 years of valuable experience in public accounting and is a member of the Canadian Institute of Chartered Professional Accountants in both Ontario and Québec, as well as a member of the Québec Institute of Financial Planning (Pl. Fin.). One of Denis’ many areas of expertise is personal finance. He takes pleasure in sitting down with clients and reviewing both their personal and business financial situations while providing an unbiased opinion to help their current situation. Over the years, Denis also gained extensive experience in Housing Audits, becoming an expert in helping the organizations deal with various City of Ottawa demands and specific accounting standards. Raised in Orléans, Denis was always an active member of the community. He is a founding member of the “Business Club d’Orléans” and has been on the executive committee since its beginning in 1986, including acting as the president from 1994 to 1996. Denis was also the president of the “Orleans Chamber of Commerce”, formerly known as “Cumberland Chamber of Commerce”, and has been part of several other regional groups as well as volunteering many hours in his community. Alain Robert joined the firm in 2014 as a senior auditor and small-medium tax advisor. 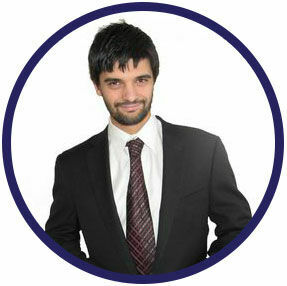 He brings with him many years of experience working in one of Canada’s largest accounting firms. He obtained his Bachelor in Commerce with a specialty in accounting from the University of Ottawa and a D.E.S.S from the Université du Québec en Outaouais, which led to successfully passing the U.F.E in 2012, granting him the CPA,CA professional designation. In order to better serve his clients and become a more complete professional, Alain pursued various specialization in taxation. He completed a master’s degree in taxation from the University of Sherbrooke in 2014, and has since obtained his “Tax & Estate Practitioner” (TEP) and “Certified Financial Planner” (CFP) designations. Alain’s main areas of expertise are corporate and personal tax planning, corporate reorganization, and trust and estate planning. Alain remains active in the community by serving as the treasurer for The Council of Heritage Organizations in Ottawa/Conseil des organismes du patrimoine d’Ottawa for 3 years and continues to participate in various local sports teams.